I worry about my brain. As the prevalence of Alzheimer’s disease and dementia increases, I want to do more to protect my memory and cognitive function. While we wait for a cure for Alzheimer’s or better treatments for dementia, what can you do to help prevent the diseases? You can lead a more brain-healthy lifestyle that can slow down the process of deterioration. No matter what your age, you can take steps now to keep your brain healthy. Physical activity is a valuable part of living a more balanced life and can also lower the risk of cognitive decline. According to the Alzheimer’s Research & Prevention Foundation, physical exercise reduces your risk of developing Alzheimer’s disease by 50%. In addition to protecting against Alzheimer’s and dementia, creating a regular exercise routine can also boost your mood, increase energy levels and reduce stress. Your brain needs a nutritious diet to perform at its best. Make sure you are eating plenty of fresh fruits and vegetables, lean protein and healthy fats. Focus on creating good eating habits that reduce inflammation and provide a steady supply of fuel. Follow a Mediterranean diet – This approach to healthy eating includes a balanced diet rich in fish, whole grains, nuts, olive oil and fresh produce. Avoid trans fats and saturated fats – You should reduce your intake of full-fat dairy products, red meat, fried foods, fast food and processed foods. Eat heart-healthy options – If you’re following a diet plan that’s good for your heart, it’s also going to be good for your brain. When you reduce your risk of heart disease, you’re also helping protect your brain. Add omega-3 fats – Studies show that omega-3 fatty acids may help prevent Alzheimer’s disease and dementia. Eat cold-water fish, such as salmon, tuna, trout, mackerel and sardines. When you continue to learn new things and challenge your brain throughout life, you are less likely to develop Alzheimer’s or dementia. It’s a good idea to follow the “use it or lose it” approach. 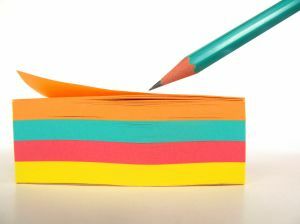 Activities that involve multiple tasks or include different types of stimulation, such as communicating, interacting and organization, will offer the greatest benefits and protection. Here are more ways to exercise your brain. We are social creatures. Relationships are important to our health. If you are isolated, you’re not thriving and neither is your brain. Studies show that the more connected we are and the more relationships we have, we test better for memory and cognition. Do you have trouble making friends? Here are a few ways to build a strong support system and develop new relationships. Volunteer – There are so many great causes you can support and giving back is good for your health! Make weekly plans with friends – Take the initiative and get together with friends. You can go to the movies, visit the park, creating a walking group, or check out local museums. Take a class – Join a gym or sign up for classes at a local college. It’s a great way to meet new people and stimulate your brain. Get to know your neighbors – You may have people nearby who have similar interests to you. Make it a point to know your neighbors. Chronic stress takes a toll on the body as well as on your brain. Stress can lead to shrinkage in key memory areas of the brain, hamper nerve cell growth and increase the risk of Alzheimer’s and dementia. 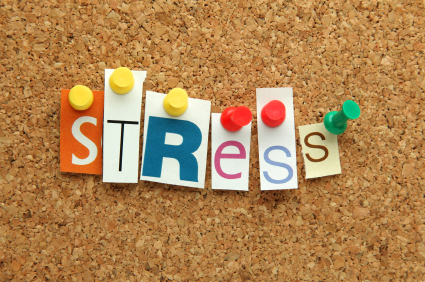 There are many things you can do to prevent stress and keep your stress levels in check. Even the foods you eat can help you control stress. Your brain needs to rest. A good night’s sleep helps your brain function at maximum capacity. When you don’t get enough sleep, you are cranky and tired. Lack of sleep also impairs your ability to think, solve problems and store or recall information. Deep, REM state sleep is important for memory formation and retention. Most adults need at least 8 hours of sleep per night. If you’re getting less sleep than that, your health, productivity and creativity can suffer. To protect your brain health, embrace a balanced lifestyle that will improve your overall health. A balanced life includes exercising, eating a nutritious diet, establishing good relationships, reducing stress, and getting plenty of sleep. This entry was posted in Eating Right, Exercise, Feeling Rested, Giving Back, Life Balance, Relationships, Stress Management and tagged Alzheimer's, Alzheimers disease, brain, brain health, cognitive function, dementia, exercise, giving back, healthy diet, healthy lifestyle, heart healthy foods, manage stress, Mediterranean diet, memory loss, mentally active, Omega-3 fats, protect your brain, reduce stress, regular exercise, sleep, social life, socially active, volunteer on 06/08/2015 by Krista Zuber. Stress is a personal thing. What might stress me out may not bother you, and vice versa. A little bit of stress is good for motivation and may help your memory. However, ongoing stress can impact your health in negative ways. Increased doctors visits and serious illnesses may be linked to stress. Stress can come from a short-term frustration, such as a traffic jam or waiting in line, or a major life event like losing a job or divorce. Either way, it can affect our bodies and our overall health. Cortisol, a hormone released during times of stress, may trigger cravings for sugar and fat. If you already have a higher body mass index, you may be even more susceptible to cravings. The key is to know your stress triggers and stock up on healthy snacks. Or, make sure you don’t have unhealthy treats on hand when you know you may be guilty of emotional eating. Stress can also be correlated with weight gain. In addition to the cravings caused by the stress hormone cortisol, higher levels of cortisol may also be linked to more belly fat. You may also have poor eating habits when you’re more stressed. When you’re stressed about getting to an important appointment on time, it can be harder to remember where you put the car keys or when you last filled up the gas tank. Stress seems to fog up your memory and make it harder to remember simple things. Stress is known to raise blood sugar levels. If you’re at risk for Type 2 diabetes, stress can substantially increase your risk of developing the disease. For those who already have Type 2 diabetes, blood sugar levels are higher when under stress. Stress can cause a range of eye symptoms – from eye twitches to hysterical blindness. In both cases, it’s important to find the underlying causes of the emotional stress and then try to eliminate the causes of the stress. The “fight or flight” chemicals that are released during a stressful event can cause vascular changes that give you a headache or migraine. It can happen while you’re stressed or during the “let-down” period afterwards. Stress can also make you tense your jaw muscles or clench your teeth, both of which can create a tension headache. Work issues or life events can keep you tossing and turning at night. Loss of sleep is linked to a number of health conditions and creates a vicious cycle. Insomnia increases your stress and keeps you up even more at night. Getting a better night’s sleep can help you cut down stress before it starts. Heartburn, stomach cramps and diarrhea can be caused by stress, or can be worsened by stress. Bouts of constipation and diarrhea, or irritable bowel syndrome, are also thought to be partially fueled by stress. Chronic stress can make it harder for you to fight off viruses and bugs. It lowers your immune system by creating hormonal changes in your body. I want to live as long as possible. Traumatic events and chronic stress are both thought to shorten the telomeres in your chromosomes. This change causes your cells to age faster. It seems that exercising vigorously three times a week may be enough to counteract the effects. We all know that chronic stress is bad for us. Our modern society creates a long-term state of stress, and it’s hard on our minds and bodies. If you’re feeling stressed, find ways to relax and learn to let go of stress! This entry was posted in Eating Right, Exercise, Feeling Rested, Habits, Life Balance, Stress Management and tagged aging, blood sugar, chronic stress, cortisol, digestion, feeling stress, headaches, hormones, immune system, impact your health, let go of stress, live events, long-term stress, memory, sleep, stress, stress affects your health, tramatic events, triggers cravings, type 2 diabetes, under stress, vision, weight gain on 04/26/2015 by Krista Zuber. Do you lose track of your car keys? Walk into a room and have no idea why you’re there? Can’t remember the name of your child’s teacher? I recently read that our modern lifestyle plays a significant role in contributing to our memory and brain function. Our exposure to toxins, chemicals, an unhealthy diet, poor sleep habits and stress can actually hinder our ability to remember. A healthy lifestyle can support your brain health and even help your brain grow new neurons. This process is called neurogenesis. Your brain is 75% water so even mild dehydration means that your brain tissues are shrinking, and you may experience mild loss of cognitive function. You may have heard, “Drink when you’re thirsty.” However, when you feel thirsty, you’re already becoming dehydrated. You should shoot for 8 glasses of water a day. Of course, if you exercise or work outside in hot weather, you should drink even more. Learn more about the benefits of drinking water. I often cook from a box, package or can. Prepackaged foods almost always contain unhealthy ingredients that aren’t good for your brain. The best diet consists of real food. Unprocessed food helps you avoid those chemicals and toxins that can hinder your memory function. Artificial sweeteners and MSG are both known to adversely affect your brain health. Here are some tips for swapping junk food for healthy food. Brain cells use twice as much energy as other cells, and they get most of this energy from glucose. Your brain cells can’t store energy, so they need a steady supply of glucose. That means you should eat more sugar, right? No, the key part of the equation is a steady supply. Real sugar, including high fructose corn syrup and maple syrup, is hard on your brain and memory. They send your blood sugar levels on a roller coaster ride of spikes and dips. Too much refined sugar leads to poor memory formation, learning disorders and depression. It also impacts your attention span and mood. Here are more reasons to limit sugar. Many diets want you to cut out the fat. However, some fats are good for you. Not to mention, your brain is made mostly of fat. It needs healthy fats, such as the type you get from nuts, avocados, oily fish and olive oil. About 25% of your body’s cholesterol is found in the brain. Low fat diets have had a disastrous affect on our brains. We need good fats for overall health, as well as memory function. Sleep has so many health benefits. Getting the recommended 8 hours of sleep shouldn’t be considered sleeping in. You should strive to sleep 8 hours every night for your overall health and mental well-being. During sleep, your brain repairs itself, gets rid of toxins and consolidates memories. Lack of good sleep will impair your memory, creativity, judgment and attention span. Make sure you’re getting plenty of sleep. We’ve written before that there is no such thing as multitasking. You are simply switching from one task to another. Trying to multitask may actually slow you down, make you more prone to errors and make you more forgetful. You need about 8 seconds to actually commit a piece of information to memory. So, if you’re talking on the phone while bringing in the groceries, you are more likely to forget where you laid down your car keys. Our bodies are meant to move, yet you may spend 10-12 hours a day sitting. All this sitting can lead to memory lapses, brain shrinkage and cognitive decline. Physical activity increases blood flow to your whole body, including your brain. Exercise also moves more oxygen and nutrients to your brain. Getting more physical activity can help keep your memory sharp. Here are more benefits of regular exercise. Prolonged stress leads to anxiety, depression, poor decisions, insomnia and memory loss. Too much of the stress hormone cortisol can lead to a surplus of free radicals. These free radicals can cause your brain to shrink by punching holes in the brain cell walls and causing them to rupture and die. The next time you’re getting stressed out, take a deep breath and remember that you’re killing brain cells. Here are some more ways to reduce stress. A number of medications can affect memory, including antihistamines, antidepressants, anti-anxiety drugs and sleep aids. Don’t stop taking any prescription medicines without talking to your doctor, but if you’re concerned about your memory function it may be something to bring up at your next visit. People who are cognitively active will have better memory as they age. How do you keep your brain going strong? Stay engaged in the world. Play games that make you think. 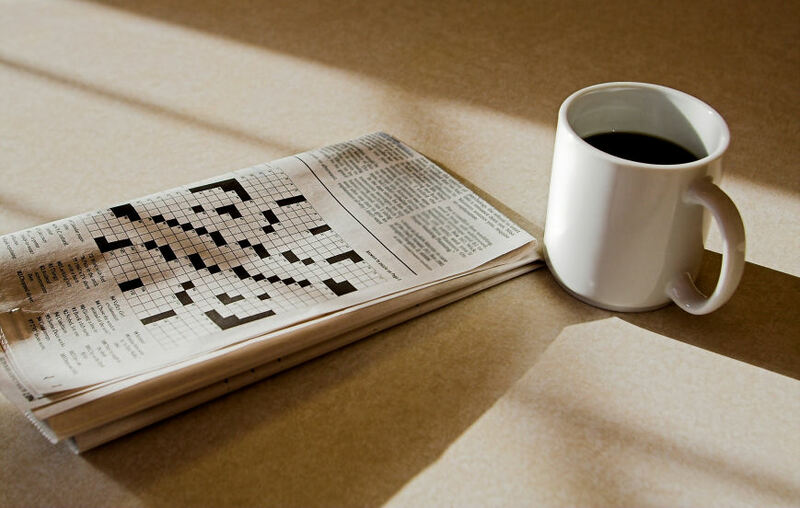 Do a crossword or Sudoku puzzle. Find ways to challenge your memory. For instance, if you meet someone new, make up a way to remember his or her name. Here are 16 Ways to Exercise Your Brain. Your lifestyle and habits impact every part of your life, including your memory and brain function. A healthy, balanced lifestyle can improve your memory, mood and well-being. It’s just another reason to live a balanced life! This entry was posted in Eating Right, Exercise, Feeling Rested, Life Balance, Stress Management and tagged boost your memory, brain cells, brain function, brain health, brainpower, chemicals, cognitive abilities, cognitive function, exercise your brain, healthy choices, healthy lifestyle, improve your memory, live a balanced life, medicines, memory, memory and brain function, memory function, memory loss, modern lifestyle, remember, sleep, sleep habits, stress, toxins, unhealthy diet on 01/19/2015 by Krista Zuber. You know that feeling when you haven’t had enough sleep. I very rarely get a full night’s sleep. I fight going to bed like a 2-year-old child. But then, the next morning I am dragging around, irritable and simply not at my best. I swear I will go to bed early that night, yet I will stay up late again. You may already know that lack of can affect your memory, concentration and mood. You may be surprised to learn that there can be even more serious side effects to sleep loss. One of the biggest reasons to get more sleep is to avoid the risk of developing serious, chronic diseases. Studies have shown that people who suffer from insomnia and sleep loss also have a chronic health condition. These common diseases include stroke, heart disease, heart failure, high blood pressure and diabetes. Sleep deficiency has also been linked to an increased risk of cancer. Serious accidents have been linked to poor sleep and fatigue. Some of the world’s biggest disasters may have involved sleep deprivation, such as the Exxon Valdez oil spill and the nuclear meltdown at Chernobyl. Sleep loss can be dangerous in everyday life, too. Driving when tired can slow your reaction time as much as driving drunk. You are also more prone to accidents and injuries at home when you’re tired. Over time, lack of sleep can contribute to the symptoms of depression. Studies have shown that people who suffer from anxiety and depression often sleep less than six hours on average a night. Insomnia has the strongest link to depression. Insomnia and depression can feed on each other. Lack of sleep can aggravate depression symptoms, and being depressed can make it more difficult to sleep. Sleep plays an important role in your thinking process and learning. Lack of sleep impairs your cognitive processes in several ways. You are less alert, have trouble concentrating, reasoning and solving problems. These side effects of sleep deprivation also make it difficult to learn and put forth your best effort. Lack of sleep seems to be related to an increase in hunger and appetite. There is a link between sleep and the peptides that regulate appetite. Sleep loss can also stimulate cravings for high-fat and high-carbohydrate foods. Throwing your appetite out of whack also increases your likelihood to overeat, and this may contribute to obesity over time. When you sleep, your brain consolidates memories, which helps make the things you have learned throughout the day easier to access and recall. Your brain also transfers short-term information to where it can be stored for long-term knowledge. This transfer occurs in the deepest part of the sleep cycle, so losing sleep can hurt your long-term memory and contribute to forgetfulness. While one night of missed sleep can lead to puffy eyes or dark circles, continual sleep loss can cause more lasting skin damage. Sallow skin and fine lines across the face, as well as dark circles, can become more permanent over time. The elasticity of the skin can also become more damaged when you don’t get enough sleep. Your mind and body can do a better job of managing stress when you are more rested. Fatigue can put an added strain on your body and contribute to anxiety and make it more difficult to make decisions. Stress can also be harmful to your overall well-being and make it harder to maintain life balance. This entry was posted in Feeling Rested, Habits, Life Balance, Stress Management and tagged dangers of sleep deprivation, dangers of sleep loss, get a good nights sleep, get enough sleep, improving sleep habits, insomnia, lack of sleep, serious dangers of sleep loss, side effects of lack of sleep, side effects of sleep loss, sleep, sleep deprivation, sleep deprived, sleep habits, sleep loss on 06/16/2014 by Krista Zuber. 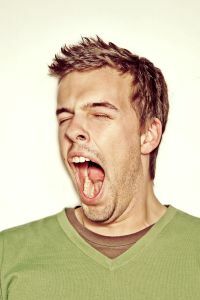 Do you find yourself yawning during the day? (You just yawned, didn’t you?) Would you like to take a nap in the middle of the afternoon? It’s not surprising that we often feel tired. I know my habits are not the best. I try to do too many things in a single day. I stay up late to watch my favorite shows on DVR. I am stressed and end up getting out of bed early in the morning to get a jump on the day. Most of us don’t get enough sleep. We stay up late watching TV, working or surfing the internet on our computer, tablet or smartphone. We get up early to get started on the work day. You should get about 7 to 8 hours of sleep a night. Avoid caffeine and alcohol a few hours before bed. Turn off the TV before bed and make your bedroom an oasis for sleeping. Research has shown that using computers, tablets and mobile phones right before bed may interfere with your sleep patterns, leading to less time spent in the deeper sleep stages. Keep the gadgets out of your bedroom and stop using them about an hour before bed. Normally, your levels of the stress hormone cortisol will run higher in the morning and dip down at night. This pattern helps you keep a normal daily rhythm. Chronic stress can throw that pattern out of whack. If your cortisol levels stay high all day, it will disrupt your sleep. Try to be conscious of your stress level and do what you can to keep yourself at a moderate level. You may not have realized that being too laid back can also make you feel more tired. Moderate stress stimulates you and helps boost your immune system. Also, having tasks you need to accomplish can motivate you to stay active. If there’s nothing you are looking forward to doing or excited about, it’s much easier to decide that you are tired. A healthy woman who doesn’t replace just 1.5% of her water weight can experience mood swings and lower energy levels. Make sure you drink plenty of water based on the weather and your workouts. Too much time spent being sedentary can make you feel more tired even though you aren’t using as much energy. Think about it: You have a stressful day at work and that amps up your cortisol and blood glucose levels. Then, you spend the evening at your computer or on the couch watching TV. Your body doesn’t have a chance to release that energy and tension. This keeps you in a revved up state at night and disrupts your sleep. You can see that it’s a vicious cycle that keeps you tired. So, get moving. Just 150 minutes of moderate exercise each week can fight off fatigue and give you more energy. You will also sleep better and feel more rested. If you have feelings of exhaustion along with sadness and loss of appetite, you may depressed. You may have lost the pleasure in doing things you used to love. If you have these symptoms, you should talk to a doctor or therapist to help you get back to feeling better. 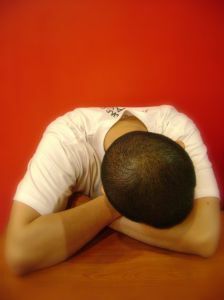 Your eating habits can also contribute to your fatigue. Relying on carbs and sugars to get you through the day can make you feel sluggish. Eating a healthy diet with plenty of fruits, vegetables and lean protein can help you boost your energy levels. Caffeine can help you be more alert and focused in moderate amounts. However, too much caffeine can raise your heart rate and blood pressure, as well as give you the jitters. If you decide to cut back on your caffeine intake, do so gradually. If you stop suddenly, it can cause headaches and even more fatigue. Many medicines can have side effects of making you feel fatigued. Some examples include certain groups of antidepressants and beta-blockers that are used for migraines and high blood pressure. If you notice that you are feeling more fatigued after you start a new medicine, talk to your doctor about alternatives. If your iron is low, you could have anemia. Your body struggles to function properly to remove wastes from your cells, and you feel worn out. If you’re feeling sluggish, you can ask your doctor for a simple blood test to see if you should take a supplement. If you have fatigue with forgetfulness, restless legs, and numbness or tingling, you could have a B12 deficiency. You can take supplements to raise your B12 levels. Under and over active thyroid can cause fatigue. A blood test can check your level of thyroid stimulating hormone needed for proper thyroid function. If you are draggy with blurred vision and lots of urination, you could have diabetes. Tiredness is also a sign of heart trouble. If exercising makes you feel worse, then you definitely need to see a doctor. Are you feeling tired after reading this blog? Do you feel like you could have one or more of these problems? I would start with the basics. Take a look at your sleep patterns, diet, exercise routine and stress levels to see if you need to adjust any of them. If you’re still feeling fatigued, it might be a good idea to talk with your doctor. This entry was posted in Eating Right, Exercise, Feeling Rested, Habits, Life Balance, Stress Management and tagged caffeine, causes of fatigue, dehydrated, depressed, energy levels, fatigue, feeling fatigued, feeling so fatigued, feeling tired, healthy diet, making us tired, medication, need more exercise, need more sleep, poor diet, reasons you are tired, sleep, sleep patterns, sluggish, stress, take a nap, too much stress on 12/09/2013 by Krista Zuber. It seems like every year I start having trouble sleeping at night right around the daylight savings time change. I recently read an article that talks about how the Earth’s axis affects our sleep habits. As the days shorten with the arrival of winter, a gap is created between our internal body clocks and our sleep patterns in comparison to the natural day. Daylight savings time was actually created to help deal with these changes in daylight hours. Before electricity and the daily grind of getting up at the same time every day to go to work, people woke up with the rising sun and went to bed when it was dark. 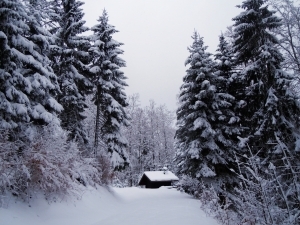 During the long winter nights, sleep was actually biphasic. That means we slept for a few hours, then woke up for a few hours, and then slept again for a few hours. Artificial light modified our sleep habits and made them more routine. The good news is that a regular sleep routine and getting plenty of rest are good for our bodies. On the other hand, artificial light means we can stay up long after it’s dark outside and get up before the sun rises. We are more likely to create a pattern of sleep deprivation. We need sunshine to help us be alert and energetic. A lack of sunlight can make us sleepy and sluggish. During the winter months, many of us get up in the dark and drive to work before it’s barely daylight. By the time we leave work, it’s once again dark. We need the light to tell our bodies it’s time to be awake. On the other hand, we need darkness and nighttime so that our body knows it’s time to go to bed. Spend a few minutes outside each day. Even on dreary days, it’s still good to experience fresh air and natural light. Because you feel tired and unmotivated during the winter months, you may skip your exercise routine. In addition, cold weather can keep you from getting outside and doing chores or activities that would normally tire you out. Try to take a brisk walk or even use the stairs to increase your movement during the day. Winter time and cold weather makes it even more appealing to snuggle under the covers and sleep in on the weekends. Just as too little sleep affects you mentally and physically, too much sleep on the weekends can throw off your sleep patterns during the week. It’s best to only vary your bedtime and wake up time by about an hour or so, even on weekends. I know I tend to hibernate in the winter. I want to eat warm, filling comfort foods that aren’t the best choices. But when you eat a heavy meal in the evening, your body has to work harder to digest it. Your full belly can actually keep you awake at night or disrupt your sleep pattern. Keep up your healthy eating habits even in the winter, especially if you aren’t burning as many calories. Turning the heat up may make you more comfortable on a cold evening, but it will make it harder for you to sleep. We tend to sleep better in a cooler room because it will keep our body temperature down. However, a room that’s too cold can make it difficult to sleep as well. You need to find the temperature that’s just right to help you fall asleep and stay asleep. Winter often brings on more colds and flu. We need sleep to help heal our body. Yet, when we get sick, it often interferes with our sleep because we may have a sore throat, stuffed up nose, or run a fever. It can be harder to get a good night’s sleep with cold and flu symptoms. If you notice you are feeling tired, sluggish and grouchy this winter, take a look at your sleep habits. You may need to make some adjustments to your routine and your sleep environment so that you can get a better night’s sleep. Do you have tips for creating a healthy sleep routine, even in the winter? We would love to hear from you! This entry was posted in Eating Right, Exercise, Feeling Rested, Habits, Life Balance and tagged artificial light, daylight savings time, exercise routine, healthy sleep habits, how winter affects sleep, lack of sunlight, natural light, plenty of sleep, sleep, sleep habits, sleep patterns, sleep routine, sunshine, why winter affects sleep, winter on 11/12/2013 by Krista Zuber.